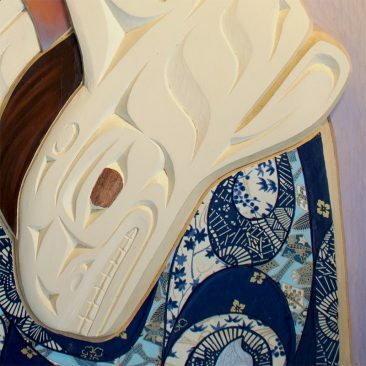 Born and raised in Vancouver, BC, Lauren Brevner grew up in a mixed heritage family rich with culture and inspiration. In 2009, she moved to Osaka, Japan in hopes of reconnecting with her roots. There, Lauren had the honor of apprenticing under renowned artist, Sin Nakayamal. It was through her mentor that she first began her work as an artist. Nakayamal was the inspiration that sparked her journey to self-taught fruition. The composition of her paintings explores mixed-media through the use of oil, acrylic, and resin. This unique technical style is combined with a collage of Japanese chiyogami, yuzen, and washi paper on wooden panels. Her influence originates from the stylistic elements of traditional Japanese art and culture. She aspires to reinvent the eloquent tradition of using gold and silver leaf in art. 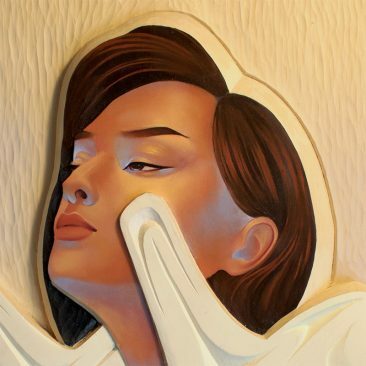 Lauren’s paintings primarily involve the interpretation of female portraiture. She plays with polychromatic layers; the figures within it existing in surreal and isometric spheres. The women embody strength and femininity through somber silence. Their gaze a myriad narrative. 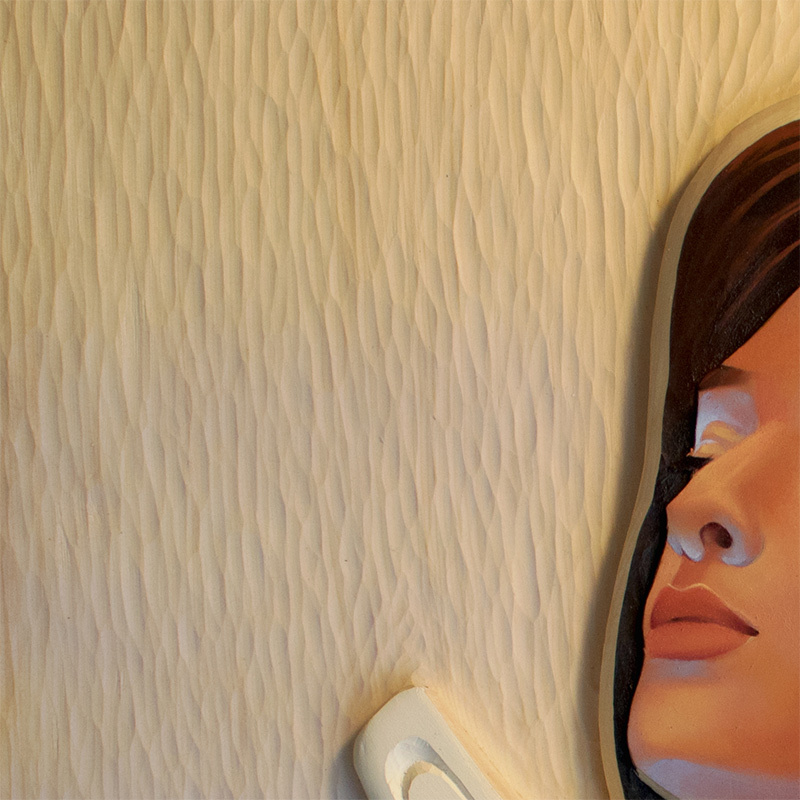 Lauren Brevner seeks to create a commentary on the subject of women and their depiction in art throughout the ages. Her portrayal of women serves to empower rather than objectify: a reflection of the vitality of sensuality over sexuality. James (Nexw’Kalus-Xwalacktun) Harry was born October 31, 1989 in Vancouver, British Columbia. He is of Squamish Nation (Swxwú7mesh?) and European(Scottish, and German). James spent much of his childhood and early adolescence immersed in art. 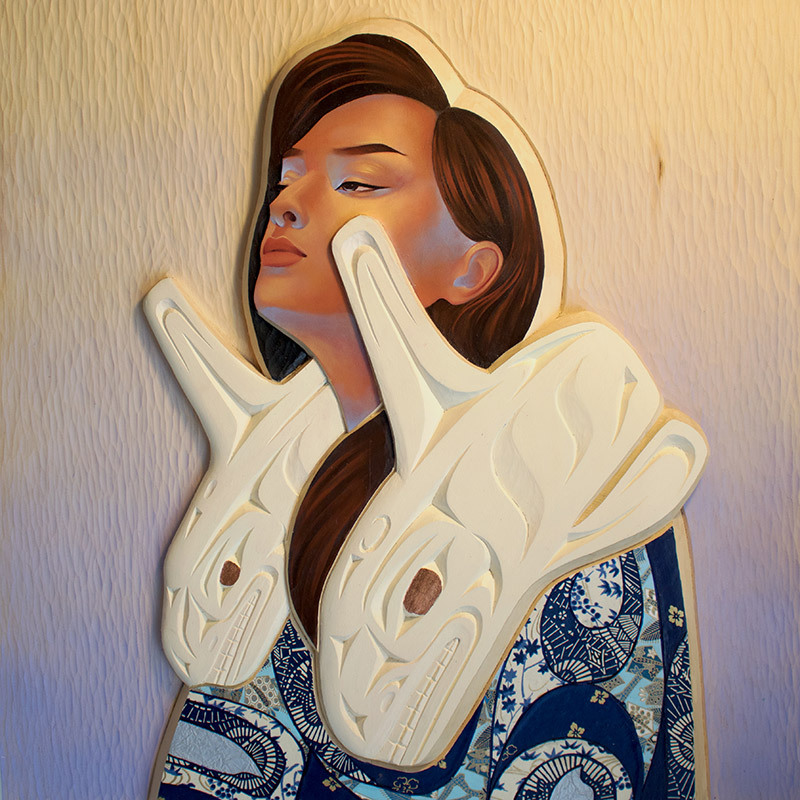 He attended Emily Carr University of Arts and Design, obtaining a Bachelor of Fine Arts Degree with a major in Visual Arts in 2014. 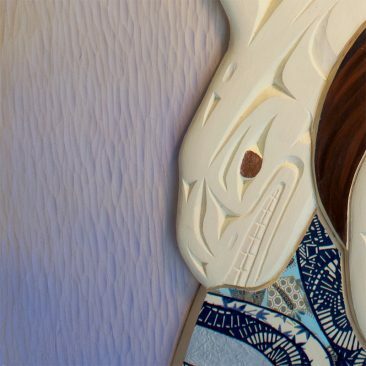 His studies focused on integrating traditional Coast Salish art forms with contemporary concepts and materials. In 2011, James created an artwork for the Vancouver International Airport titled “From Sea to Sky”, a 6’ high aluminum totem pole that emitted LED lights through Coast Salish iconography cut by water jet. In the same year, James completed a coop internship with various artists in the United Kingdom where he learned metal casting. As part of this experience, he taught Aboriginal sculpture, painting and drawing and shared stories and culture in various Scottish communities. James has a unique capacity for developing thematically significant work that connects all people to the ecology of place while building greater understanding between cultures. The whole process brings people together, changes ideas, and leaves a legacy to remind the community that transformations occurred. At the same time, James has been investing in his art business, developing an individualized focus on ways of integrating the traditional with the contemporary. His current focus is three-fold: using metal, light and traditional west coast formline to create totems and other contemporary works, carving yellow and red cedar in traditional and abstract works, often larger than life, and working collaboratively with Lauren Brevner to create innovative carving/painting works that reflect First Nations stories while making a statement about the search for identity and wholeness.